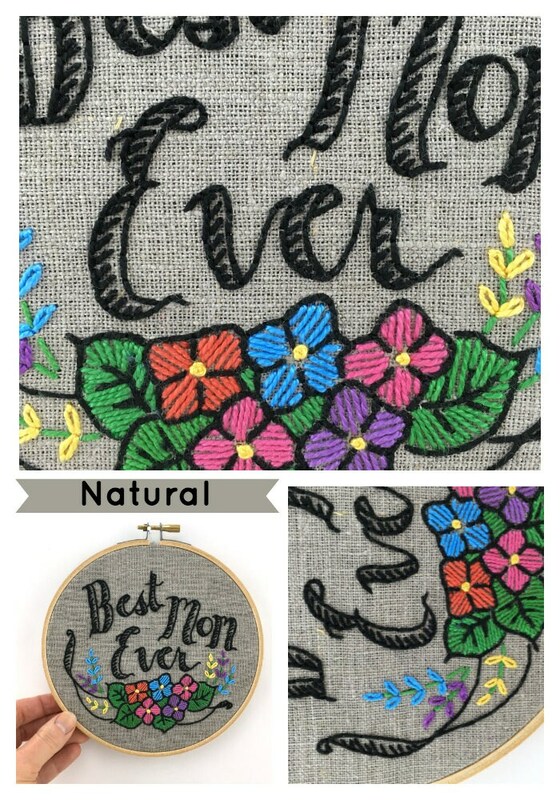 Embroidery Kit: Best Mom Ever! 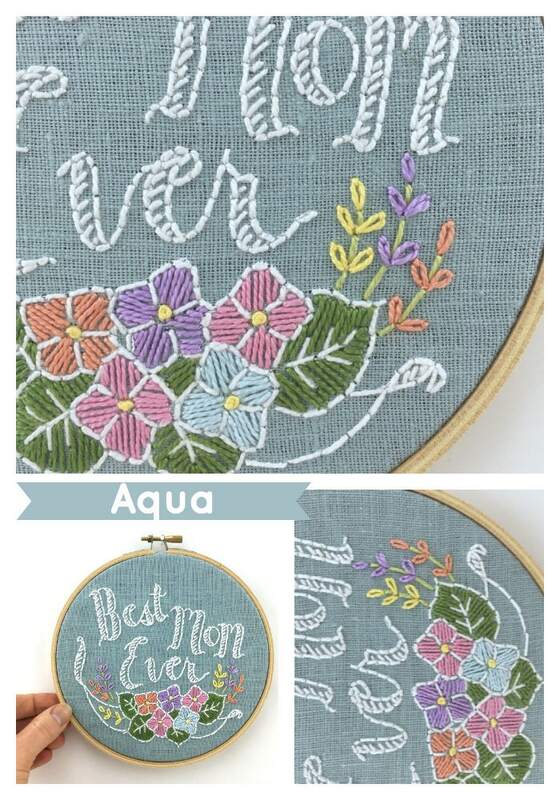 Stitch the perfect gift for Mom with this kit from I Heart Stitch Art! 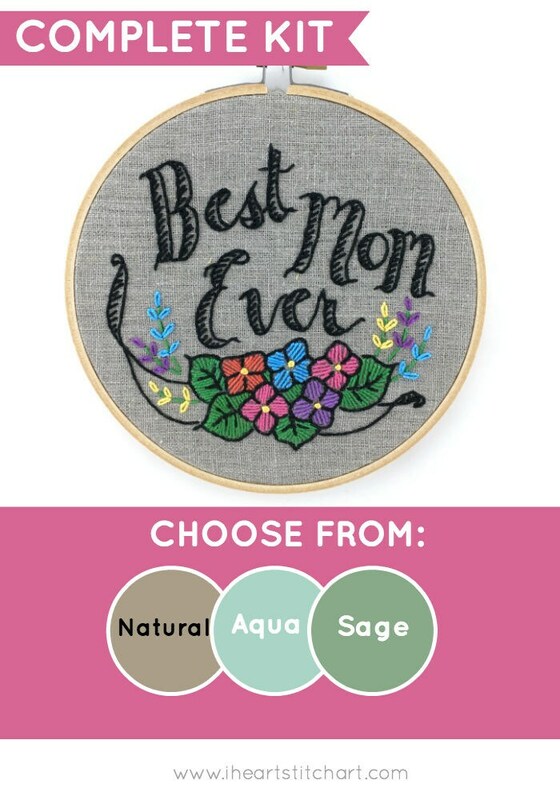 This easy embroidery kit is the perfect way to show Mom your love. 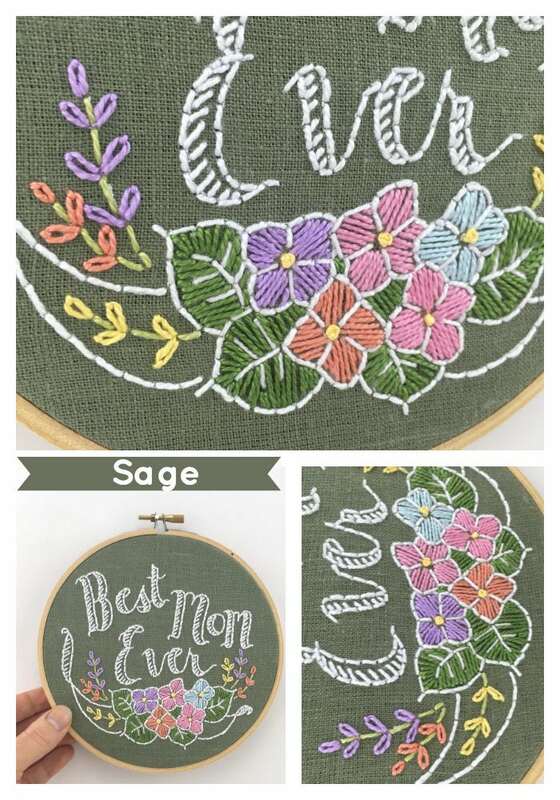 Although it looks complex, the stitches are actually very easy - it's essentially colouring-book embroidery, where you outline the flowers and fill in with colour! Easy, fun, and lovely. Note: This listing is for ONE embroidery kit! Select the colour you would like before adding to your cart. *BONUS: each kit comes with our gift to you - our signature STITCH sampler, designed to help you practice and master the basics in a fun and bright way! This kit is suitable for an adventurous beginner, or an experienced stitcher! Time required to complete the kit depends on how fast your stitching is, but you could anticipate 2-4 hours start to finish. Fabric measures approximately 10.5" x 9"; image measures 4 x 6". These kits are stunning and so well put together I love this shop! Absolutely beautiful! Thank you so much again!! So great, arrived quickly & the directions are super easy for a newbie like me to understand. So pretty & so much fun!